FREE Asbestos Testing & Removal Estimates! Cape Cod Testing & Removal » Asbestos Testing & Removal » Testing, removal and abatement of asbestos materials. 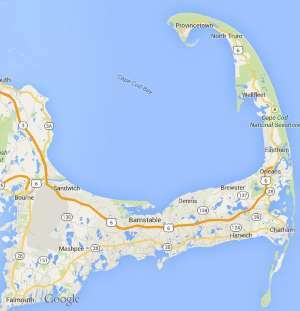 Free estimates from local Cape Cod asbestos testing & removal companies. Get quotes on your asbestos testing & removal project in Barnstable, Brewster, Bourne, Chatham, Dennis, Eastham, Falmouth, Harwich, Mashpee, Orleans, Provincetown, Sandwich, Truro, Wellfleet or Yarmouth, MA. Testing, removal and abatement of asbestos materials. 1100sqft home. Vermiculite in attic and some has fallen through the walls into the basement so, maybe in walls. I have an older single story cottage in West Harwich. I recently had the Cape Cod Compact do an energy analysis and testing determined that I have 1% vermiculite in my attic. My cottage is not large and the vermiculite is located in the attic. It is only about three inches deep, so there’s not too much of the stuff. The attic only has an access hatch in the ceiling of the living area below. If I get a licensed asbestos contractor to remove it how much should I expect to pay? Ballpark range. If it too expensive, I will not proceed with the suggestions offered by Cape Cod Compact. We have vermiculite in our attic around the chimney and cape light compact wouldn’t pressue test our house with the vermiculite in the attic. I would like to get an estimate for the removal cost. Demolition of a cottage and need an asbestos survey. Thank you.